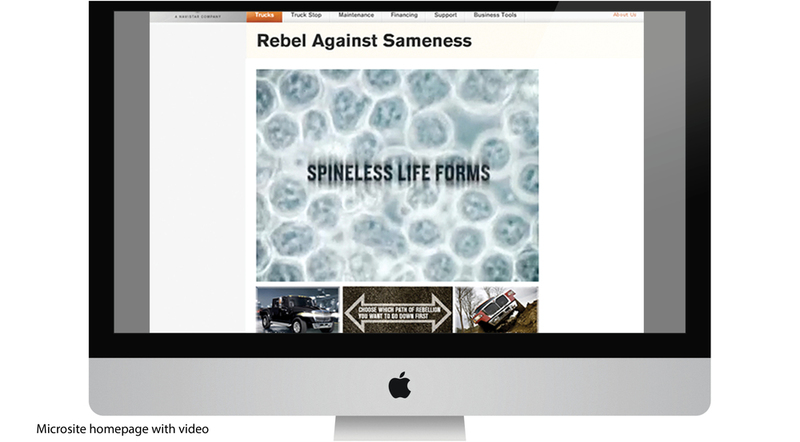 "REBEL AGAINST SAMENESS" MICROSITE: Created on a relatively modest budget, the MXT microsite was designed to generate leads with both the urban and outdoor prospective customer. "REBEL AGAINST SAMENESS" PRINT/POSTERS: You don't rebel politely—you do it with attitude. And lots of it—especially to a target who are more "truck folks" than your average luxury vehicle customer. "REBEL AGAINST SAMENESS" EXPERIENTIAL/PROMOTIONS: A very limited number of invites to the MXT pop-up showroom and test-drive at a high-end Miami hotel were delivered via mail as well as, handed out at high-end Miami clubs where the MXT was parked for he evening.